Since the release of his debut album Freudian in August this year, Caesar has become a magnet to soul junkies. I remember when it first came out and I fell completely in love with it. "Best Part" especially. Everything about it is just pure and wholesome. 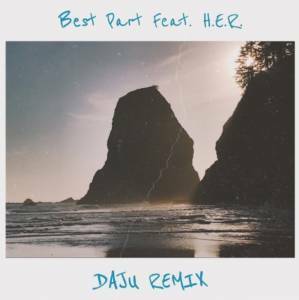 So I was thrilled when I saw that Hawaiian producer Daju had made his own rendition. Now it's definitely a contrast to the original, though it doesn't stray too far from it's sweetness and sensuality. There's a great layering of catchy beats/instrumentals that add a subtle groove. Giving it a little liveliness. Kind of like adding ice cubes to a warm cup of coffee. It's like the same-same, but different. Overall, good vibes.